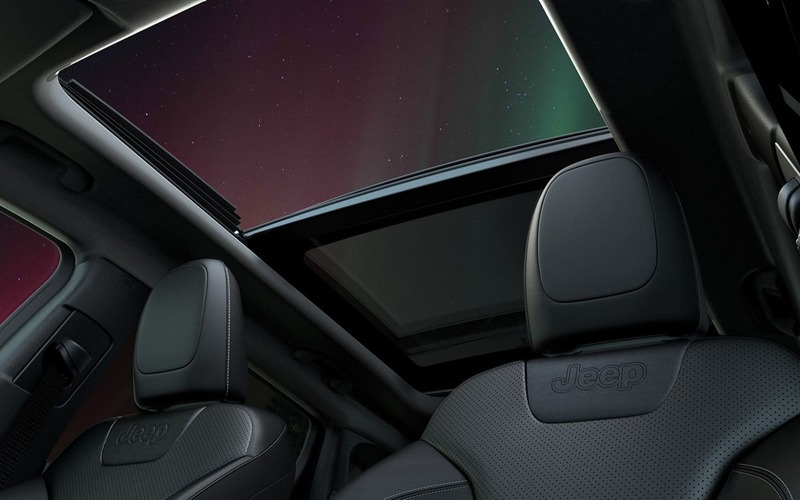 This mid-size sport-utility vehicle, 2019 Jeep Cherokee, comes with an all-new look. This new look includes updated lights, a front fascia, upgraded hood, and lightweight hands-free power liftgate. To improve the fuel efficiency of the overall ride, improved powertrains and wheel designs have been added to choose from. With so much already listed, you wouldn't think the Cherokee could have any more updates, but it does! 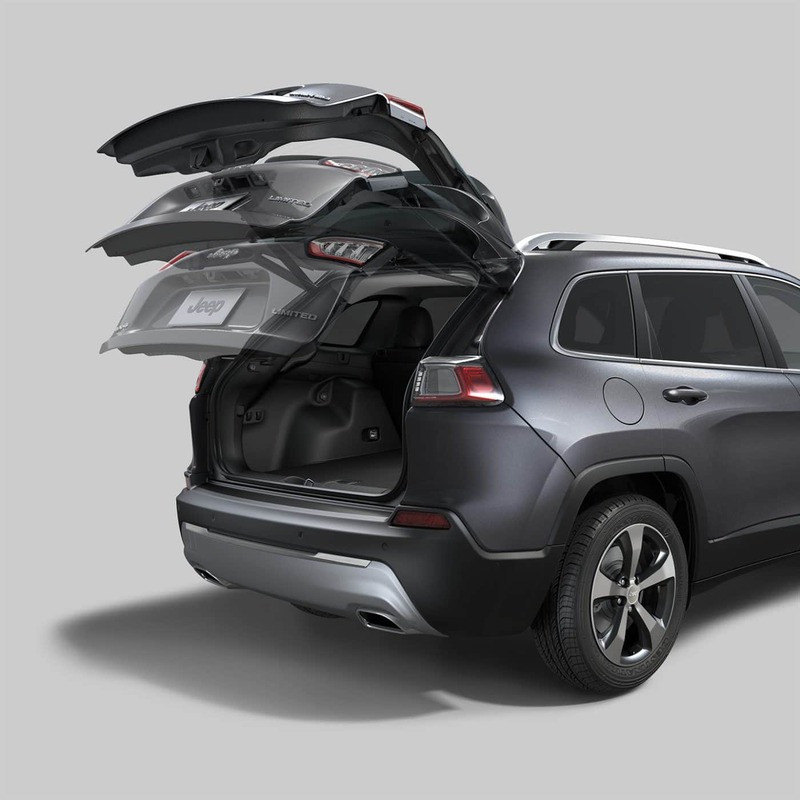 The rear cargo volume has been greatly increased and a new layout has been integrated for storage design. In addition to this, there are some interior accent colors available in Piano Black high-gloss and Satin Chrome. What engines are available to choose from? The first available engine is a 2.4-liter Tigershark MultiAir 2 inline-4. This engine is standard on the Latitude, Latitude Plus, and the two-wheel drive Limited. This engine is available in four-wheel drive and two-wheel drive, except on the Limited. The four-wheel drive Limited, as well as the Overland and Trailhawk, all have the 3.2-liter Pentastar V6 as their standard engine. This engine also comes with variable valve timing for improved fuel efficiency. The final engine is optional for all trims but the Latitude. This engine is a 2-liter GMET4 inline-4 Turbo. Every engine is matched to a nine-speed automatic transmission as well. 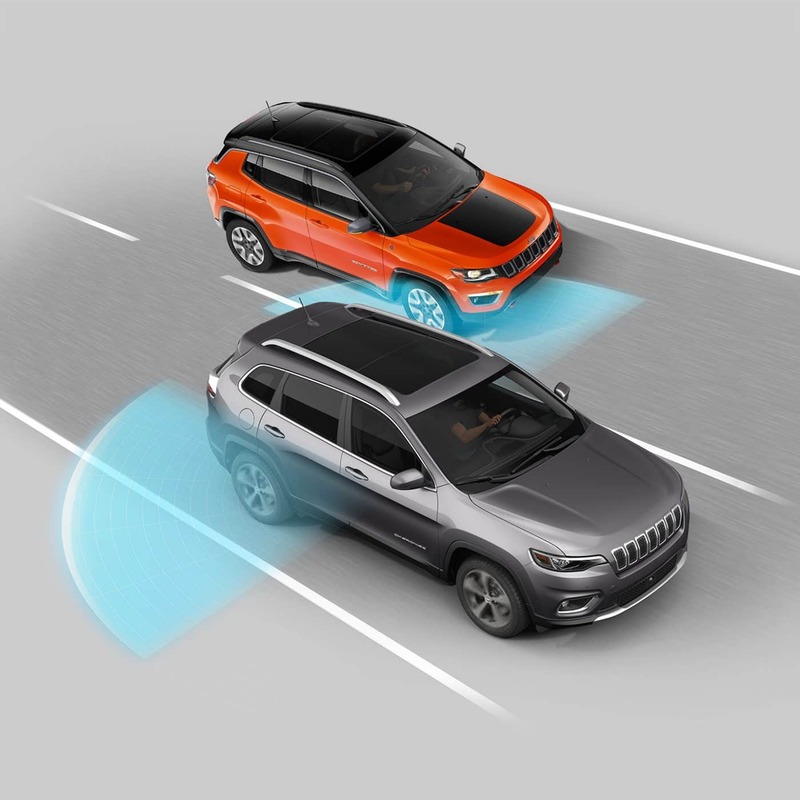 The 2019 Jeep Cherokee offers a multitude of standard and available safety features. Some of the standard features would include a driver and passenger side inflatable knee bolster, hill-start assist, electronic stability control, keyless entry with panic button, supplemental side-curtain airbags, all-speed traction control, electronic roll mitigation advanced multistage airbags, a rear backup camera, trailer-sway control, and supplemental front and rear side airbags. Some of the other available features included blind-spot monitoring, adaptive cruise control, rear cross path detection, a universal garage door opener, a remote start system, a lane departure warning, and a push-button start. 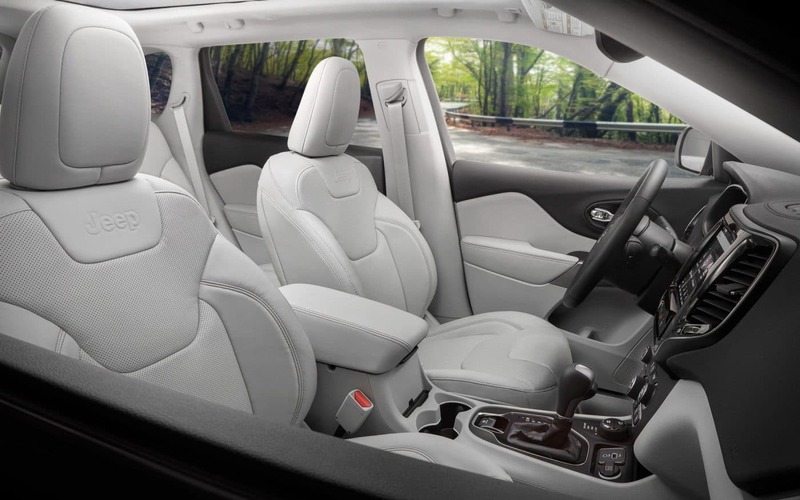 What trim levels are available with which features? 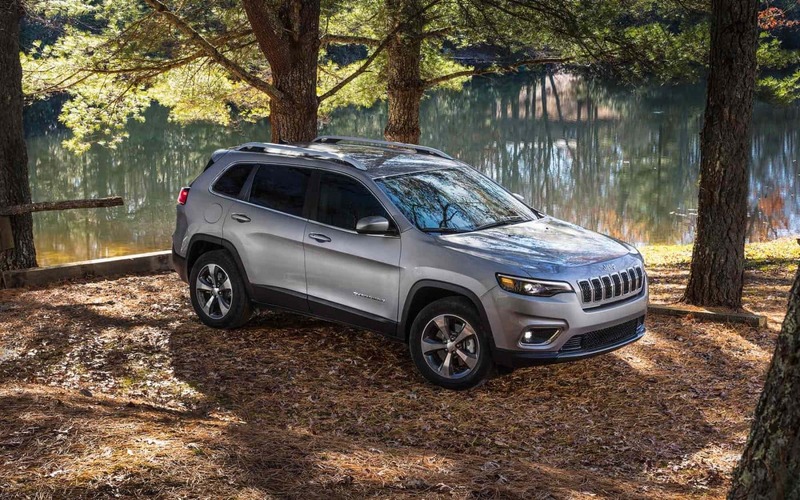 The 2019 Jeep Cherokee is available in trim levels: Latitude, Latitude Plus, Limited, Overland, and the Trailhawk. Some of the standard features for every trim level would be black headlamp bezels, foglights, a Selec-Terrain traction management system, a rear washer windshield wiper, 12-volt power outlets, LED daytime running lights, a tilt-and-telescoping steering wheel, eight cargo tie-down loops, and full length front floor consoles. 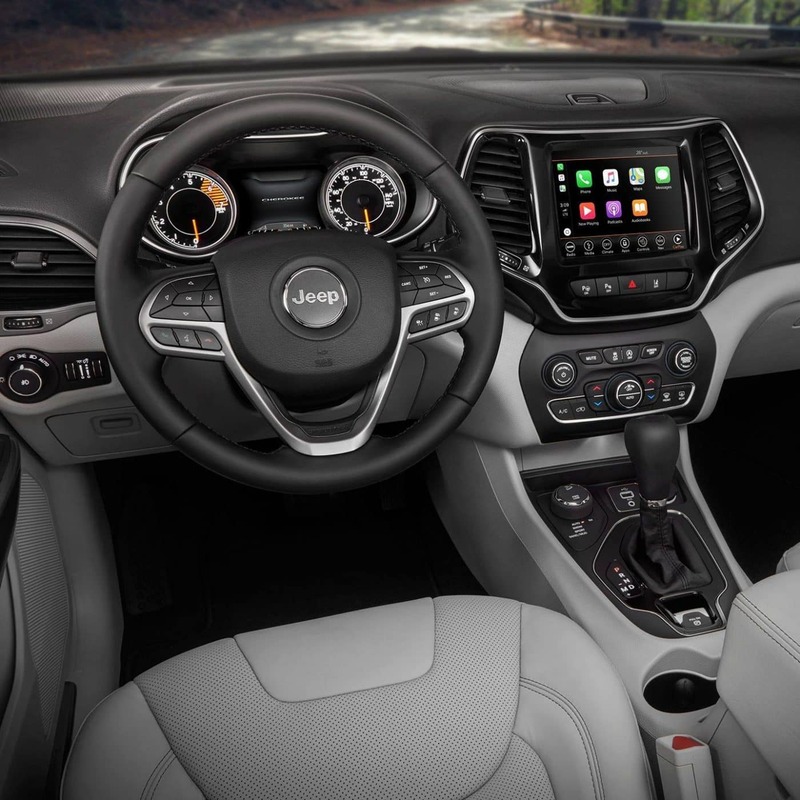 Upper level trims can find even more luxurious and functional features like heated and ventilated seating in Nappa leather upholstery, a SiriusXM radio, a leather-wrapped steering wheel with integrated wood accents, a Uconnect 4C NAV system, a sunroof, and deep tinted glass. 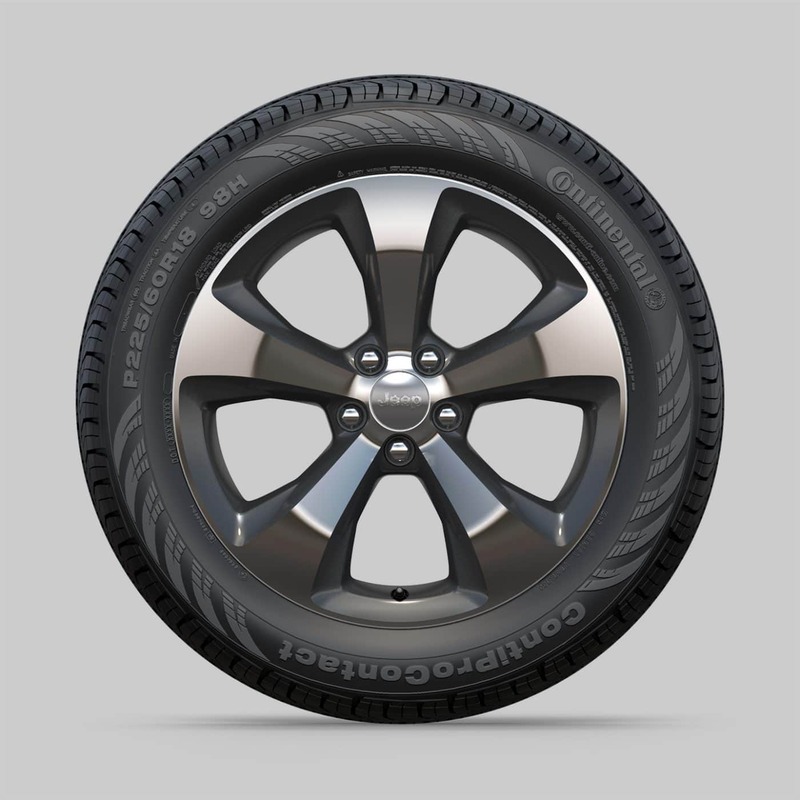 Various wheel types are available as well including 17-inch steel wheels, 17-inch aluminum wheels, 17-inch polished aluminum wheels, 18-inch polished aluminum wheels, and 19-inch polished aluminum wheels. 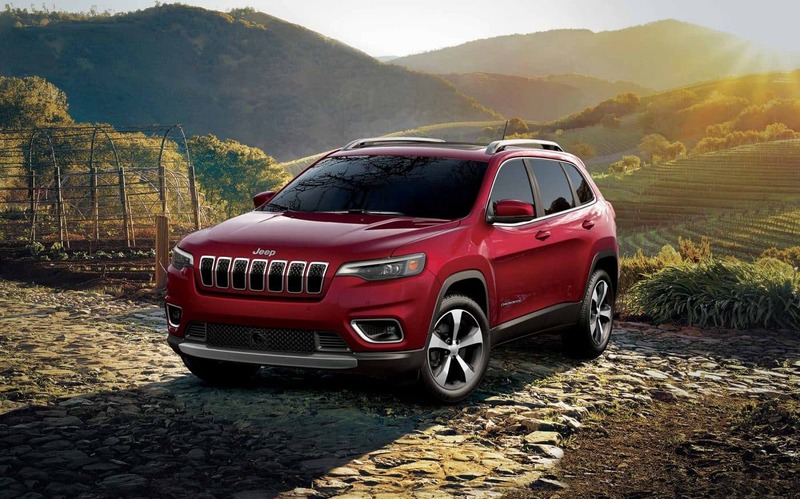 Please give us a call or stop by the lot if you are interested in learning more or have any further questions on what the 2019 Jeep Cherokee has to offer. We would be happy to help!